In case you have missed the holiday music that has been playing since October… Christmas is around the corner! No really It’s next week!!! If you are still looking for that perfect gift for someone special look no further, our Style Session package is a one-of-a-kind gift that will keep giving for years to come. Do you know someone who wants to add those finishing touches to their home but does not know how? Do you know someone who is stuck with their home design projects and needs a professional opinion? 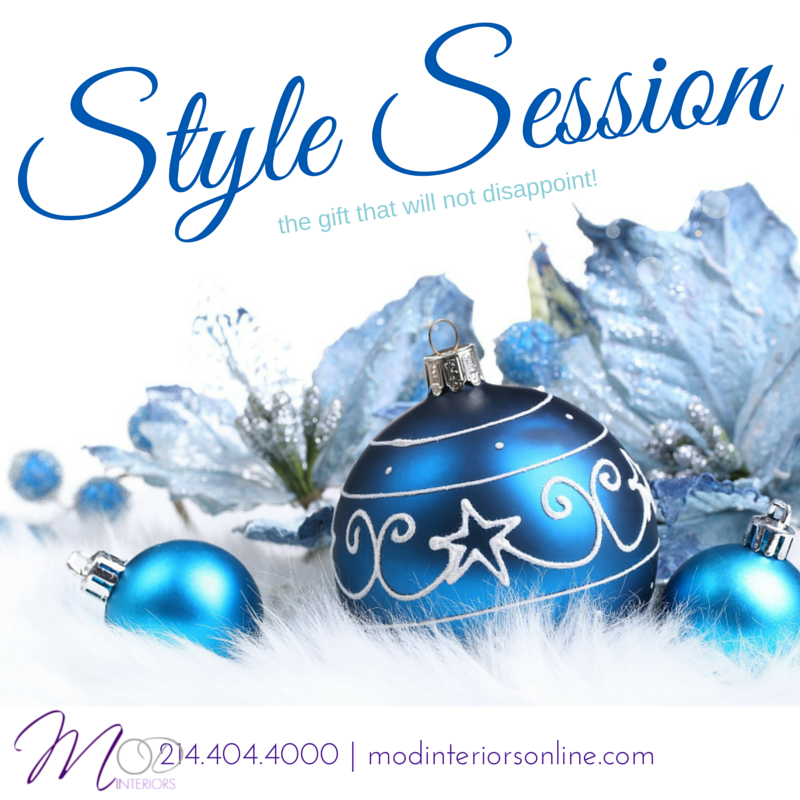 Our Style Session Package provides up to 2 hours of one-on-one time with a professional interior designer. The client will receive suggestions on potential improvements, furniture layout, general recommendations on areas such as color and lighting, as well as helpful resources to assist in completing their project. The gift of design, perfect for this year’s loved ones! We’d love to know what you think about this potential gift? Please fill us in by commenting below.